Detoxification:- Lemons cleanse the body. According to scientists who conducted a study on the liver this is likely due to their antioxidative properties. Vitamin C:- The juice of two lemons gives you 90% of the recommended daily intake of Vitamin C.
Digestion:- The ascorbic acid in lemon juice actually improves the absorption of food, which can give the body more time to process nutrients. Lower cholesterol:- While consuming an entire lemon, including the peel, may not be something you want to do, one study showed it significantly lowered cholesterol in hamsters that were given a high-fat diet. 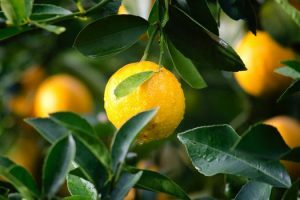 Lower Blood Pressure:- A study out of Japan on human subjects showed that lemon intake, coupled with walking, helped significantly lower blood pressure. Weight Control:- A study on mice fed a high-fat diet showed that properties in lemons helped suppress fat build-up. Scientists believe that components of lemons such as ascorbic acid, citric acid and polyphenols (a group of phytochemicals that are biologically active compounds found in plants) are the keys to their health benefits. It should also be noted that real lemons were used in all of these studies, not concentrated lemon juice which is highly pasteurized and often stripped of its nutritional value. Source: Life Plus International, The Art of Growing Young, May/June 2018.